Geography: North East, Tyne and Wear. Part of the North Tyneside council area. Main population centres: Whitley Bay, Tynemouth, Shiremoor, North Shields, Monkseaton. Profile: A coastal seat on the northern bank of the Tyne. North Shields and the communities along the Tyne itself tend to be more industrial and working class, once dominated by coal mining and shipbuilding. The coastal towns to the north tend to be more middle class dormitory towns for Newcastle commuters. Politics: This has tended to be one of the more Conservative seats in the Tory desert that is the North East. As a relatively middle class area it returned Conservative MPs from 1950 to 1997, albeit often on narrow majorities. It has been represented by Labour since 1997, though the Conservatives have strength at the local level. ALAN CAMPBELL (Labour) Born 1957, Consett. Educated at Blackfyne Grammar School and Lancaster University. Former history teacher. First elected as MP for Tynemouth in 1997. PPS to Gus Macdonald 2001-2003, PPS to Adam Ingram 2003-2005, government whip 2005-2008, junior minister at the Home Office 2008-2010. Opposition deputy chief whip since 2010. ALAN CAMPBELL (Labour) See above. JULIA ERSKINE (Green) Contested Tynemouth 2010. Interesting event unfolded at the North Tyneside council budget meeting on Wednesday – the Tory elected Mayor was thrown out by the majority Labout council. Fairly typical of Labour’s behaviour in the council chamber I’m afraid – relishing their stregth of numbers and making use of it at every opportunity to bolster their Mayoral candidate. I know its early days yet but I haven’t had any literature from any party – wonder when the campaigns will take off? The Tories should have another go at this one. but I wonder whether they can put the circumstances leading up to 2010 behind them. There’s little to suggest that they would have any success. The best they can hope for I think is to prevent Labour making it into a safe seat. This would be a very nice seat to win next time round showing that the Tories can be competitive in North East England. While I don’t think we will pull it off just yet bearing in mind the state of the economy, if things do begin to change in 2014 then we could run Labour very close here. This may be one of those seats where people prefer Tories on a local level while vote Labour nationally. The 2010 result surely suggests short term factors. then it suggests things can be put right. Whether it would be enough to win though is a valid point. I think its our voters are more committed here. In 2010 we did badly in the locals too here, with labour getting a high turnout b/c of the general. We have no chance, 0, none whatosever of winning this seat at a GE im afraid folks unless its an enormous landslide. Following that it would be attempting to hold Stockton South and if we have a very good year, Middlesborough South (which we more or less need for a majority). Darlington would be the next target. On purely numerical grounds, this seat is hardly better than Hartlepool, which is a total dump and thought of as a very safe labour seat. Official launch of Labour’s Mayoral Election campaign yesterday. Love how they all have to dress in red for the occasion. Good quality leaflet though. I wonder whether Linda Arkley will stand in Tynemouth in 2015? Are you assuming she won’t be successful in the Mayoral election this year then Matt? depended on getting some support from North Tyneside constituency aswell, whilst seeing off most of the opposition in this seat. Obviously I really hope she manages it if it’s one of those nights where the Tories do better than expected, but I wouldn’t rate the chances as being all that good. I agree with Joe James – she is local and is well known so believe would have a better chance of a good result in Tynemouth in 2015 than Wendy Morton in 2010. I have to say the Labour literature I have seen so far seems quite glossy and expensive. Presumably it will have been centrally produced? They also seem to be sticking to a fairly strict timetable as far as the campaign events and the literature distribution are concerned. I know there is a Liberal candidate, but has anyone heard if there is likely to be a UKIP or any Independents joining the race? Surprised you had not received any literature John, I have been inundated with things from Labour and Have had one from Conservatives no sign of Lib literature though. Was confirmed on Friday only the three main parties standing in the Mayoral election. Spoke to UKIP activist recently and he said they couldn’t find anyone willing to stand in the election. Election for the Mayor of North Tyneside today. Labour have definitely had the manpower in this election; seems the Tories have been sending leaflets without the ‘Conservative’ name. Very much focussing on ‘Linda’. First time the mayoral has been decided in the first round. Turned out to be a massive victory for Labour, almost 10,000 majority. so finally we will actually be able to run the council. It’s still not an overwhelming result for us, given the situation in the parliamentary seats, but nevertheless a great relief. Not unexpected I don’t think. Now we finally get a chance to see what a hash Labour will surely make actually running the council properly. Whether it’ll give the Tories a chance to rebuild and put their organisation right from 2010 remains to be seen. But congratulations to Labour here. They ‘run’ it into the ground as Labour councils seem to always do. Biased? I know but I’ve had bad experiences with such councils. Nonetheless well done to Labour here, a good result. The Tory campaign seemed to be very different this time around. Anyone have any views on it? I think the Tories knew the game was up if they focussed on the ‘Conservative’ brand which has becoming a bit toxic in North Tyneside outside their heartlands at the Coast. Hence the emphasis on ‘Linda’ and ‘I (heart) North Tyneside’. However, with such a big swing in recent local elections to Labour, whom also had a good candidate in Norma Redfearn, they were pretty much doomed to lose from Day One of the campaign. I agree John, it would appear that the campaign was locally ran as opposed to 2010 with all the outside influence. Also a certain Mr Michael McIntyre was missing fro the campaign. Word on the street is the Tories have 5 council seats which they are going to fight with labour next year a well as fighting to hold the three safe seats they have. Can only presume they will fight Lab in Tynemouth, Preston, Whitley Bay, Monkseaton South and one more. Nevertheless a great result for Labour on the Mayoral election with the biggest swing to Labour in the entire country on the last round of county mayoral and by elections. I thought a better comparison with the style of this year’s campaign might have been with the 2011 and 2012 local elections, which were also locally run. NTResident, I can’t work out whether you think the absence of Mr McIntyre was a good or a bad thing for the Tories? The result was certainly pretty catastrophic for them, going from a 4,000 majority to a 10,000 defeat. One thing which can’t be denied, the Labour campaign was well thought out, well organised and had momentum. In terms of his absence from the campaign I’m not sure John, there is some people who hate him and some who love him. However certainly the Conservatives have been lacking his presence in the council chamber. I expect there will be some casualties in the safe seats this year to bring either him or Arkley back. I wouldn’t have thought there were many seats left which could still be described as safe. If McIntyre wasn’t involved in organising the campaign I wonder who Arkley turned to instead? As John said sadly no however some would suggest Mr McIntyre is indeed a comedian. Monkseaton North and St Mary’s are the only two that can be considered completely safe, with Les Miller and Ms McIntyre being up one of them is going to have be given the elbow or they will be at rish of getting neither elected. I believe the campaign was ran by regional officers of the Conservatives. Sorry NTResident, but I don’t follow your point here, perhaps you could explain further? I always thought the North Tyneside Tories sorted out their own campaigns without much input from their regional or central offices. Seems odd to have changed that for such a pivotal election as the Mayoral contest and looks like it backfired. Conservatives did well to hold on here in 1992, while Labour seem to have done well in increasing their majority in 2010. Or is it just the trend of urban areas in the north becoming more anti-Tory? Is it me or are there fewer and fewer marginals, with labour marginals mostly trending labour and tory marginals trending tory. Joe, I haven’t totalled it up but I think that is the overall trend. and the process can be interupted by short term political factors. But my gut feel is I certainly agree. I think there are more Labour marginals now. The Tories are doing what Labour used to do – piling up ever more votes where they don’t need them, and losing out in the marginal areas. You say that, but your safest seats are a good deal safer than ours. Do you think so? I think if you look at the seats you hold in Bucks, Berks, Surrey, Sussex etc where we really hardly register, there are a lot of them! Merseymike – there were a couple of very specific reasons the system favoured back in the early 50s. One was that they won many of the seats in Northern Ireland uncontested, so got seats there for effectively no votes. The second was the boundary commission used to have a system of giving rural seats lower electorates than urban ones (I think because communications and travel were seen to be trickier), but which effectively favoured the Tories. I guess we have more very safe seats – I suppose in 2015 that might be less true. In many northern seats I can see you hitting 60-70 with loads of ex-LD voters you dont really need. Labour hold – unfortunately the Tories have struggled as a result of the 2010 situation. They could I guess get their act together in the future. I wouldn’t necessarily agree with that. Crudely comparing the absolute nadir years of 1983 and 1997 (when Labour and Con members effectively needed a very safe seat to get back into the house of commons) I would guestimate that there must be about 200 safe Labs and 150 safe cons. That’s about right despite the fact that Labour has twice gone below 30% since 1983 whereas the Tories have stayed relatively comfortably above it. Its more at the other end – seats where either party gets a relatively derisory vote. 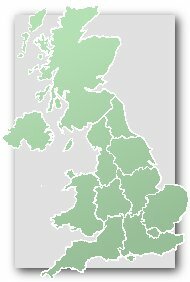 There were over 100 seats in 2010 where Labour won less than 12.5% (ie the amount which previously would have resulted in a lost deposit) while there were fewer than 50 seats where the Conservatives did. The Labour vote is also sticky in quite a long list of marginals. The Black Country area for example. Maybe it’s an old Labour right wing tradition or some lingering resenyment against the justified economic policy of 1979-81 I’m not sure. But it does seem to be a continuing factor on top of the usual ceiling the tories face where the public sector middle class was bloated, quite cynically. Does anyone know when this seat and the neighbouring North Tyneside one will be selecting their Parliamentary candidates for 2015? Are the previous candidates likely to stand again? And Neither seat is a priority for CP and a friend in the regional office of the conservatives tells me allot less effort will be going into the seats here and the main effort North of the Tyne being a bit closer to the Scottish borders with Sir Alan stepping down as well as other pressing targets south of the tyne. I am moving to this seat.